Last month holistic makeup artist and nutritional therapist Sjaniel Turrell hosted an evening workshop on natural makeup at Glasshouse Salon. Sjaniel combined her know-how with our salon-stocked brands, for a truly enlightening evening. In this guest post, Sjaniel is giving the less is more approach to natural beauty, covering everything from her evening masterclass. Listen up green beauty fans! According to Harvard School of Public Health, the average person is exposed to more than 100 chemicals from personal and home care products before leaving the house every morning. Everyday 310kg of toxic waste is released into the environment per second! The majority of chemicals used in your make-up and skincare have never been tested as ‘safe to humans’ and many known carcinogens are still allowed to be used in everyday beauty products - particularly fragrances and nail products. Natural and organic certified products ensure that all ingredients used have been tested as safe for humans, non-toxic and never tested on animals. Every effort you make to minimise your toxic load is a benefit to your overall health, whether in your food, skin, haircare, make-up, cleaning products or environment. Natural make-up utilises carefully selected oils and natural base ingredients and mineral pigments to try and achieve similar effects to the commercial versions that we’re used to. It has come a very long way in the last 5 years and we have more choice and better quality than ever before. 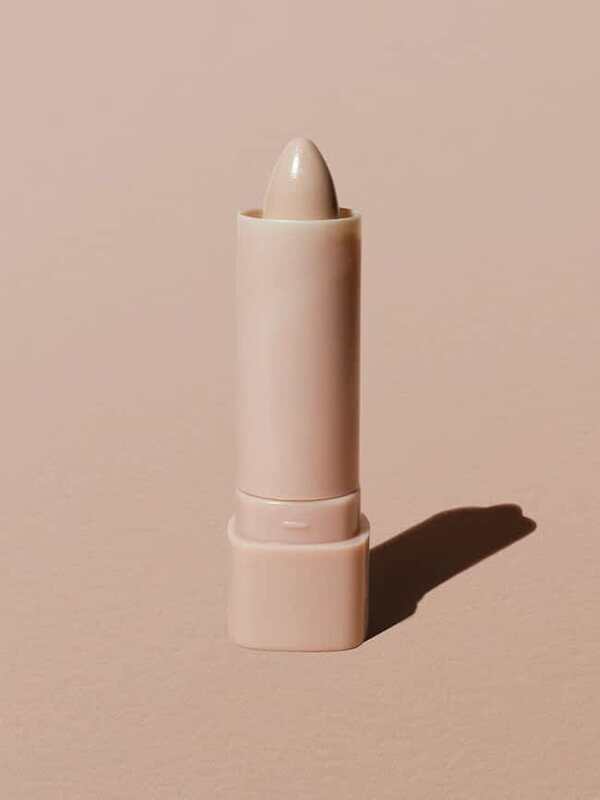 Since natural and organic versions avoid synthetics, silicones and plastics wherever possible, the effect is not always ‘one size fits all’, as with commercial products. Textures and colours change depending on your skin texture, tone and pH - this means that trial and error is often the only way to find the product that works for you. Understanding these differences and knowing how to apply and make it work for you is the key to being satisfied with the end result. Sjaniel uses RMS Lip2Cheek in Diabolique to lightly stain the cheeks and finishes off with RMS Eye Polish in Myth to highlight the lids. Over the past few years I’ve noticed a shift in trends towards a slightly less ‘made up’ look. Whether it’s on the catwalk or just out and about town, barely there seems to be cropping up everywhere and it’s great to see some people favouring a more stripped back approach. The 5-minute face is truly where it’s at and ‘less is more’ is our modern motto. The illusion of a bare face that is glowing and healthy with the minor added extras of a flick or a bright lip on occasion is a reliable go-to for day or night. The first step to a great natural make-up look is good skin. Foundations always sit better on a fresh clear face. Start by finding a great, gentle natural cleanser that does not dehydrate your skin (sulphate free is best) and follow with a calming alcohol-free toner (Honest do two great herbal and floral toners which should do the trick), finish with a nourishing and hydrating face oil or moisturiser like Guy Morgan’s Black Thorn Facial Oil. Find the foundation or tinted base that works for your skin type and tone. This involves trying a few brands in store or samples and testing them on your skin to see how they sit and absorb. I tend to find that oil based creams are great as they double up as concealers when applied with a finger and you can easily control the level of coverage. Many are coconut oil based and very nourishing, for larger pores and those prone to breakouts look for organic sunflower and jojoba based options or use a setting powder to keep your foundation lasting longer. My favourite combination is a sheer layer of RMS “Un” Cover Up with a light patting of Jane Iredale’s PurePressed Base Mineral Foundation. If you want a bit more information about choosing the right foundation for you, head over to our handy journal guide. I love the use of a multi-functional lip and cheek product. These cream-based products are ideal for an everyday natural look, easy to carry in your make-up bag and look glowing and natural. Choose from RMS Lip2Cheek colours or ILIA Multi-Sticks - they’re simply the best and easiest way to add colour and glow. If you’re blessed with full and bushy eyebrows, then simply brushing through your brows with a little oil is all you need. If they’re a bit more sparse or misshapen, then using a powder-based eyebrow kit like the Jane Iredale Great Shape Eyebrow Kit is ideal. I find that for a more natural look, picking a shade lighter than your natural hair (unless you’re white blonde) works wonders and remember that you are creating a shadow behind the brows rather than making new brows. Try brushing through them with an eyebrow brush to break up the solid colour and create a more natural finish. This particular brow kit is especially good for filling in any gaps, as it colours the hair as well as the skin behind. Bingo! Shopping for the ideal natural mascara can definitely be a challenge, especially if you have an eye shape where your lashes touch the lids. You won’t find the equivalent of waterproof, but there are enough options out there to find what works best for you. For thicker buildable lashes try RMS Defining. For very natural neat lashes use ILIA mascaras and for clean volume and length try Jane Iredale Longest Lash or RMS Volumising. Use a little highlighter like RMS Master Mixer or Living Luminizer on the inside corner of your eyes to open them up and add that subtle sheen. You can also dot a little over the top edge of your blush on top of your cheekbone. Or use your favourite eyeshadow colour all over the base of your eyelid and a little underneath the lower lashes on the outer third of the eye before you apply your mascara. Play with colours and liners to see what suits you best. I personally like to use powder shadows as bases and cream colours to highlight. Wanting to take the look a step further for the evening? Draw a flick of liquid eyeliner like Jane Iredale Liquid Liner or Jelly Jar or go for a bold lipstick colour, such as ILIA’s Wild Child or Strike it Up. Of course don’t forget the more important element of all – confidence. If you’d like to chat more about switching your makeup bag to more natural alternatives, call up the salon and book in for a 45 minute Makeover your Makeup Bag consultation with one of our trained stylists. All products available to purchase in salon or on Glasshouse Shop. Enter your email address below to get Glasshouse Journal straight to your inbox. Fresh, bright and full of optimism: coral is the springtime update your makeup bag is ready for. Inspired by Living Coral, Pantone’s colour of the year, we delve into coral’s many guises and recommend how you can introduce it your beauty routine. With the ability to regulate the body’s reaction to stress and anxiety, adaptogens have been a key part of Chinese Medicine and Ayurveda for centuries, but also contain a plethora of benefits for the skin when applied topically. From turmeric to aloe vera, we’ve rounded up our top adaptogenic ingredients to look out for in your skincare routine. The skincare world is constantly abuzz with new ingredients and technology, but one ingredient in particular seems to have taken 2019 by storm. CBD is popping up in our facial oils and cleansing bars and here at Glasshouse we have cut through the buzz to find out what CBD is really all about - and how it can benefit our beauty routines. A sweep of Myth is all you need for bright, dewy eyes with a hint of subtle shimmer. Get a pinched cheek look with RMS’ Lip2Cheek in Diabolique - doubling up as a subtle lip stain too. 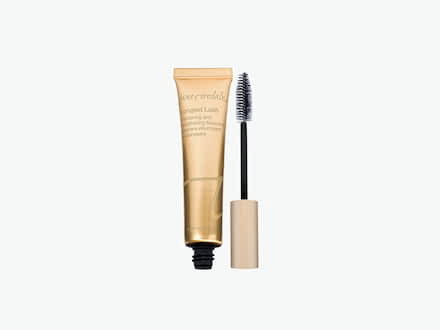 Amp up your lashes the natural way with Jane Iredale’s bestselling squeezable mascara. ​Transform your skin with the latest ingredient on our radar, rosehip oil. Packed full of vitamins and essential fatty acids, find out how this cult ingredient can improve the over appearance and texture of your skin. ​As Fashion Revolution Week kicks off, we are exploring what it really means for fashion to be sustainable or ethical. With help from Sandra Capponi, co-founder of the Good on You app, we have put together a guide on how to made your wardrobe as planet, people and animal friendly as possible. Our newest East London neighbourhood shop is home to an enviable collection of vintage straw, wicker and crochet bags, sourced from far-flung corners of the world. Straw London has taken up a temporary home in London Fields - we catch up with brand founder Emily to learn more about all things Straw. Fancy being a part of our close-knit Glasshouse team? We are looking for a talented Receptionist to come onboard. ​With a brand new business model that aims to tackle clothing waste in an innovative, stylish way, we catch up with Holly Allenby of The Acey. Proving that sustainability and style needn’t be separate entities, Holly tells us what she’s doing differently and how her latest collection is her most sustainable solution to date. Our ocean has a microplastics problem; these tiny pieces of plastic that will never quite disappear have been found on beaches across the planet, in the bellies of marine animals and even in our own food chain. The beauty and fashion industries have a big part to play in the plastic clean up and so we’ve dived into the issue to find out exactly how these particles are getting into the ocean and what we can do to help stop them. We chat with London based illustrator Alexa Coe about self-portraiture, our relationships with our body and her newly released photography and art book, Body. Embracing the ongoing revival of 90s accessories, we’re now turning our attention to headbands. Spotted across the SS19 catwalks and striking a balance between playful and chic, the grown-up headband is a practical accessory that makes an unfussy statement. Taking the Instagram world by storm, G Binsky combines the worlds of ceramics and jewellery in a unique collection of London made, wearable art. We speak to the founder Gabriela Bins about the inspiration for the brand and the importance of handmade items. ​Having left her publishing job to launch contemporary bodywork studio MASAJ, Scarlet Crawley is redefining the concept of massage, using the power of touch to cleanse the body and mind whilst restoring anatomical balance and combating the negative effects of city living. We sat down with her to discuss the benefits of massage and how best to incorporate it into our modern lifestyle. Effortlessly cool and extremely practical, the ear tuck is the latest - and easiest - way to style your hair this Winter, and it’s something you probably do already. Carefree, relaxed and the opposite of try-hard, this is a lazy girl’s dream that lets your facial features do the talking. ​Cold temperatures drying out your skin? You’re not alone. When winter hits hard, sometimes our face is the first to feel the consequences, with dry skin becoming a more common occurrence than usual. With a little help from the founder of Evolve Beauty, we’re here to guide you through your seasonal dry skin woes. ​As the vegan diet and lifestyle continues to grow in popularity, an increasing number of vegan and cruelty free products are flooding into the beauty industry and whilst this is a step in the direction, not all ‘vegan’ products are created equal. We’ve put together a guide on the subject to help you discern what is, and isn’t, 100% animal and environmentally friendly.